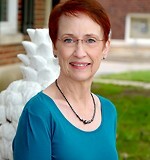 Victoria Haag is a Licensed Clinical Marriage & Family Therapist in private practice in Wichita, KS. She addresses a broad spectrum of individual and life issues in a quiet, comfortable, confidential environment. Victoria very much values her role as therapist and brings compassion, understanding, respect, humor, and life experience to your process of taking back your life. Treatment Approach: Cognitive-Behavioral, Personal Coaching, Family Systems, Interpersonal, Mind-Body Connection, Psychoeducational, Psychodynamic, Relational, Self-Compassion, Strengths-based, Solution-Focused. us and will only be shared with Victoria Haag.